Biron Farrell was young and naïve, but he was growing up fast. A radiation bomb planted in his dorm room changed him from an innocent student at the University of Earth to a marked man, fleeing desperately from an unknown assassin. He soon discovers that, many light-years away, his father has been murdered. Stunned, grief-stricken, and outraged, Biron is determined to uncover the reasons behind his father's death, and becomes entangled in an intricate saga of rebellion, political intrigue, and espionage. The mystery takes him deep into space where he finds himself in a relentless struggle with the power-mad despots of Tyrann. Great story. Great science behind the science fiction - most of which is still not too dated to enjoy today. Though some of the 50's attitudes would grate against feminist beliefs today, but if read in a "Leave it to Beaver" mindset of that time, would still be enjoyable. Where does The Stars, Like Dust rank among all the audiobooks you’ve listened to so far? 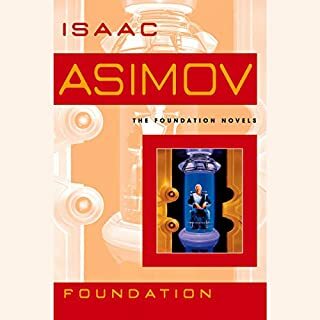 I would put The Foundation Series as Asimov's high water mark, this is secondary storyline (Galactic Empire Series) but worth reading/listening to fit into the larger context.I thought it was great but the Foundation Series is excellent. I consider his Non-Foundation books "boyhood science fiction", entertaining and well worth the effort but not as complex. You can almost see the blueprint here for later works by other artists, writers and move makers. Asimov is the original (in my opinion). What was one of the most memorable moments of The Stars, Like Dust? I thought he did a great job! The different characters had different voices, I am always surprised how the best narrators do this....he was fantastic. It's not that type of material (to me). It reminds me of the old Buck Rodgers TV show a little bit, entertaining and a great diversion. I would recommend it to anyone to enjoys SF and wants to fill out their understanding of the Asimov cannon. Good book for a vacation, the beach or just wan to mentally "get away". After reading Asimovs' spectacular "Robot Series", this was rather a disappointment. It starts off slow and pretty much stays slow. The very end of the book takes a stunning and intriguing turn that almost makes the prior 99.9% worth reading. Almost... 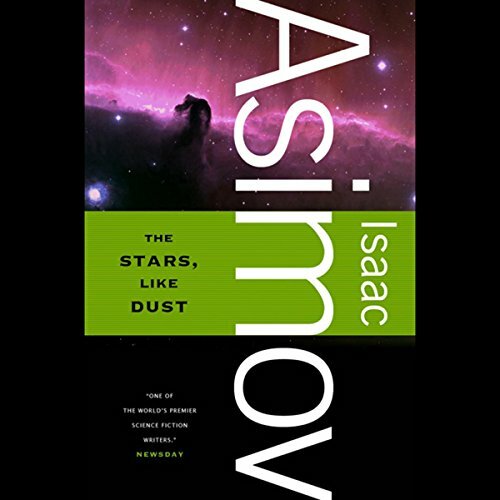 Put it this way, if this work did not say Asimov on the cover, it would never make it past door stop status. In fact, I doubt it would have been published. 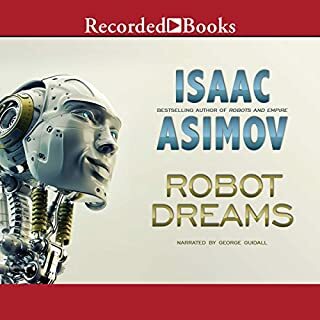 Serious Asimov fans will probably want to give it a go but I cannot recommend it. I don't know if this book was actually written in the 50's, but it has that flavor to it. Anyway, it's a well-crafted story from a master of the genre. 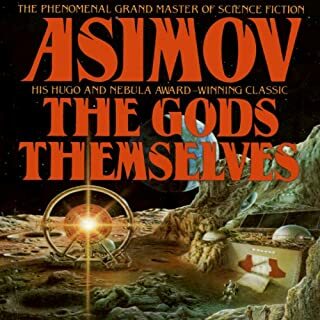 Not a monumental, life-changing experience, but an engaging little story, and Asimov's attention to detail always makes his work a pleasure to read. The Stars, Like Dust is the 2nd installment Asimov's Empire series, but sufficiently loosely connected to be a standalone rendition. Briefly, the tale takes place in the far distant future with current Earth history a distant memory. Star travel has been mastered and planetary systems are largely settled with humanoid intelligent life. Earth and the rest of the local inhabited worlds are under the tyrannical rule of distant overlords. The plot revolves around a young man whose father, a fellow of considerable economic significance, has been murdered. The son embarks on a journey to discover the truth which leads to political intrigue and hints of rebellion. The sci-fi elements are limited to interstellar travel, a "radiation" bomb which was probably the concept for neutron bombs, and "massometers" which can detect gravitational fields. While all this seems rather simplistic, this was released in 1951. The narration is excellent with a solid range of voices, appropriate pacing, and good tone and mood. While the story is short by current sci-fi standards, the plot is still quite engaging and rich in complexity. ABOUT THE BOOK: this is an addition to my collection, as well as 3 other books i downloaded,(by the same author) and takes me into many long hours at night as i drive(my occupation). Hoping to complete the set! while the book itself stands alone as a short story, it fills in the gaps and the cronological order of man,space travel,robots,and empire. which in my opinion is better then "star wars". of course that is my opinion. 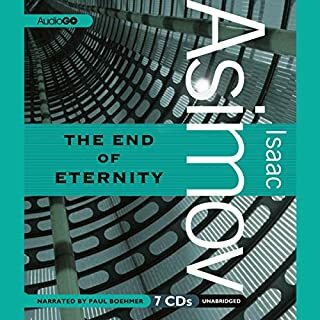 And once you start listening to one of these books by Isaac Asimov, you'll, like me want to get another. i suggest you start with "Prelude to Foundation" the beginning of a man called Harry Seldon. 1 of 6 books about "Psycho-history". Happy listening! Sci-Fi Space Opera with a cloak and dagger political mystery twist. The ending was surprising and maybe even slightly corny. This book seems more interested in political science and its impact upon interstellar relations than other Asimov that I've read. I know this was one of Asimov's earliest works, but I have read other early Asimov novels that were be far superior. This novel suffers from the classic male-centered misogynist traps littering a lot of the sci-fi genre, and doesn't even have very much of a redeeming plotline to redeem it. The political conspiracy described tries really hard to be interesting and twisty, but falls short of the intrigue it is supposed to produce. The end is patriotic, but ultimately lack-luster, overly sentimental, and not very believable. 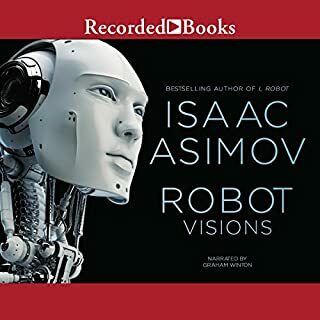 I am generally an Asimov fan, but I was not impressed with this work. I had read Asimov years ago. 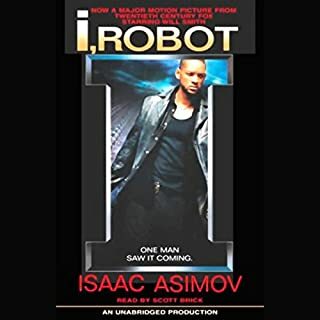 I still love the Robot series, but this one hasn’t aged well. Perhaps young adult? I enjoyed this classic of science fiction and the narrator did an excellent job with their performance.